Select from among our lines of hair loss prevention treatments. Our most potent and effective non-FDA approved natural treatment for hair loss. Combined with preventive treatments & anti-inflammatories, hair growth stimulants complete your hair loss treatment regimen. Select from the three categories of anti-inflammatories we offer. Get your hair looking better immediately! Select from one of our great hair loss concealer lines. Gentle shampoo that cleanses your hair without the harsh effects of sulfates that strip essential oils. Promotes shinier, thicker hair and nails and contributes to healthy looking skin. Select from among our lines of hair loss treatments. Rogaine 5% Foam has been shown to regrow hair in 85% of people who used it twice daily. Note: Women *can* use this product even though it states "For Men" on the cans. It is significantly more effective than the Rogaine for Women, which is only a 2% formula. 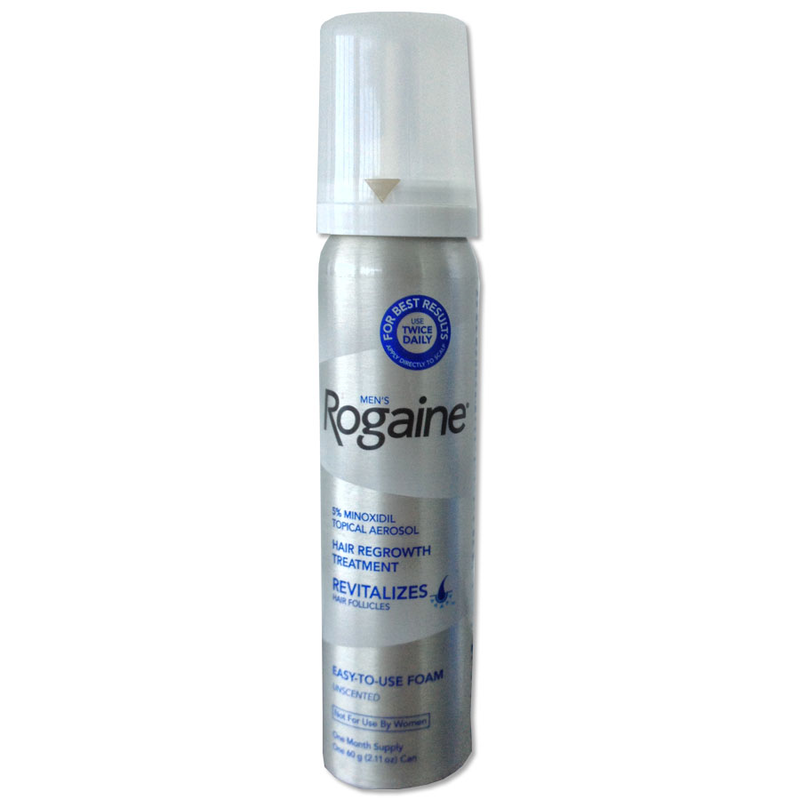 Women routinely use the Rogaine Foam for Men (this product). YES - We ship to Canada and all other International Destinations, via USPS only. Questions about your Order? Contact us now. This isn't your father's Rogaine. The previous formula of Rogaine was a liquid worked well, but the foam has been shown to work even better. Very popular product on our site, Rogaine Foam touts faster drying times, less irritation, and the FDA studies show an impressive 85% success rate. Both the Rogaine Liquid and the Foam are available in our product center (pictured to the right). Tip: Need to look good for that night out on the town, upcoming date, or important business meeting? Consider trying the newest Concealer Products. 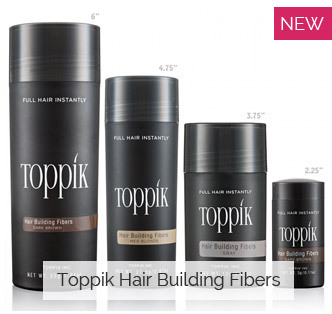 Virtually undetectable, they'll improve your hair density instantly, for that all-important first impression. Rogaine is part of "The Big 3". This term refers to hitting hair loss from all three angles. Propecia, S5 Cream, and Revivogen (Antiandrogens) help prevent hair loss. Rogaine, Tricomin, and other Minoxidil solutions help stimulate new growth. And Nizoral, Regenepure DR (anti-inflammatories) and other scalp conditioning treatments handle the inflammation. These three elements make up a successful hair loss treatment regimen. It is a proven combination that can re-grow or maintain hair in nearly 100% of people. 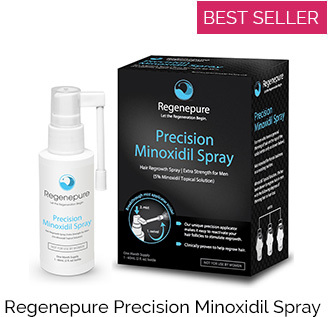 If your goal is to improve density and stop further loss, combining Rogaine Foam with an Andiandrogen and an Anti-inflammatory should mean the end to your hair loss. Please remember that treating hair loss is a slow process that requires persistence and patience. Any legitimate hair loss treatment will take between 6-12 months to begin working, and a full 2 years before optimal results are attained. So set your expectations accordingly. There may be shedding periods in between. Shedding is a natural part of any effective treatment regimen. Existing hairs are ejected and new, healthier hairs are generated in their place. It does not always happen, but it should be expected. Especially any time you modify your treatment regimen. This is why starting small (with 1-3 core products) and waiting 6 months to a year before adding anything new, is an important part of treating hair loss effectively. Take photos of your hair in bright light, both wet and dry. This will help you keep perspective as time goes on. Especially through shedding periods which may cause you to think you've lost more hair. Photos will help you see that things haven't gotten any worse. Is "Add To Cart button disabled"
HairLossTalk is a site focused on clinically backed treatments for men and women experiencing all forms of alopecia / hair loss. 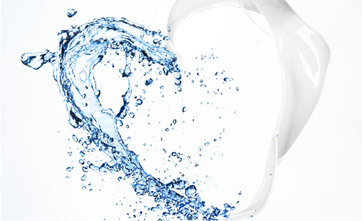 We pride ourselves on providing only treatments with potential to work. © 1999-2017 HairLossTalk is a registered trademark of Online Health Networks, Inc.